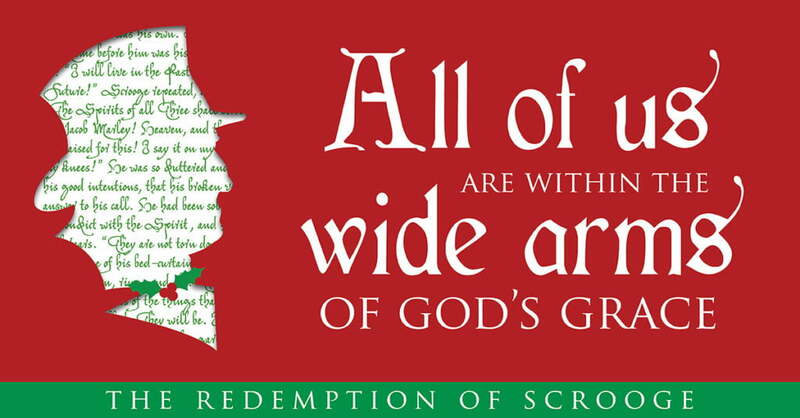 This week is a continuation of our sermon series based on Matthew Rawle’s book, The Redemption of Scrooge (available in paperback or as a digital download from Cokesbury; or from Amazon). This week, I invite you to think about where in your life you hear wisdom from unexpected places. Perhaps it’s from children, from a person you usually disagree with, or anywhere else. Also, look for this lesson in our annual Christmas musical, “Santa’s Backup Plan,” playing in worship this Sunday at both services and at 2pm. What messages in this text come from unexpected places? How does Jesus’ birth give us the opportunity to know God in new and unexpected and life-giving ways? For those who were able to enjoy Santa’s Backup Plan, I hope you saw the parallels in our ongoing series and the musical performance. Here is the very brief audio from the introduction into the musical. In the musical, one of the characters has wisdom to share but is only heard after taking extraordinary steps. In Dickens’ A Christmas Carol, Scrooge is only able to hear the profound message of love from the Cratchit family through extraordinary circumstances – the ghost of Christmas Present. How could you seek out the silenced voices? How could you be an agent of the extraordinary in bringing the ordinary voices to the forefront? How ironic that good news can be so terrifying.